This cable will extend the cable that goes to the monitor. On most vehicles the supplied cable should be long enough, but on some the filter box ends up in a very awkward position. This cable will extend the wire between the filter box and the monitor allowing it to be fitted in a more convenient area. It is essentially a PS/2 extension cable and can be used to extend the wire on a PS/2 mouse. We keep these showing as out of stock, but we do have stocks. If you want to buy one please contact us so we can check it will be suitable. 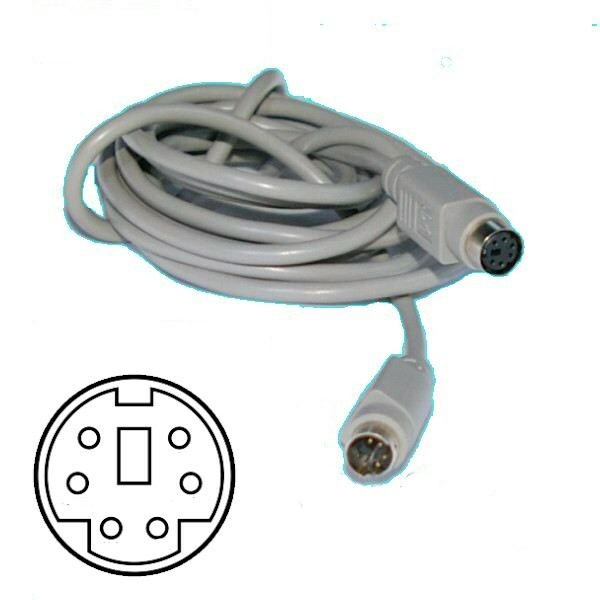 Most modern monitors do not use PS/2 connectors. Check yours carefully before buying.